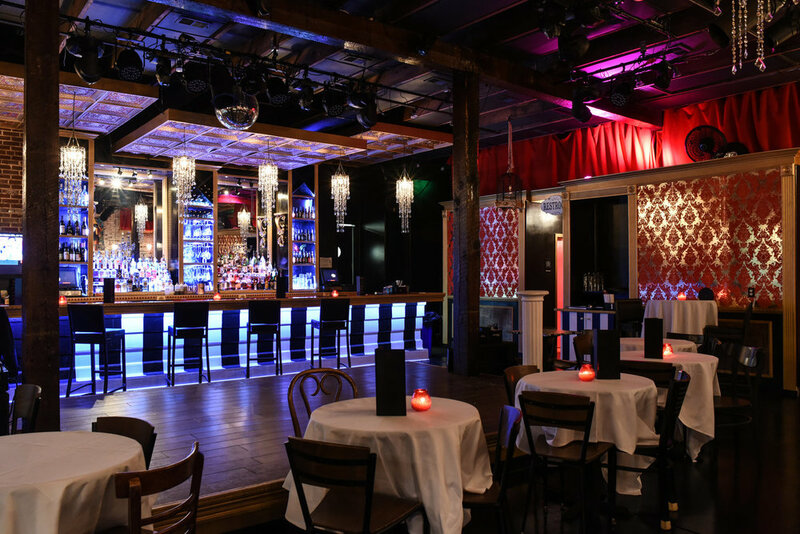 The Boom Boom Room is the perfect place to host your next private event or holiday party. You want a lively atmosphere that is better than the typical banquet hall. Why not host your party with us! There are options available to suit your needs. We customize each event based on what you want, budget, etc. You can even book us during the week for a private event. Pricing starting at $35/person for a private weekday event and that includes dinner and the show (minimum of 30 guests required). It's the perfect option for working with a specific budget. And don't worry if you think that burlesque isn't corporate friendly, because our show can be as friendly as you need it to be. We are here to cater to you. You want a private birthday party for all your friends and family this is the place! You want the most memorable holiday event, this is the place!!! You want to reward the team for a job well done, come this way!!! For more information on renting The Boom Boom Room for a private event, please submit your information here. Be sure to include pertinent information such as potential dates, type of event, budget, number of guests and an overall vision of what you want. Also please note that if you are wanting a Friday or Saturday evening where we generally host our in-house burlesque variety shows, essentially you would be "buying out" the show or night depending on the options.